Chennai : Theatres across Tamil Nadu will continue to remain shut on Tuesday for the second consecutive day protesting against the state government's decision to levy 30 per cent entertainment tax over and above the 28 per cent Goods and Services Tax (GST). 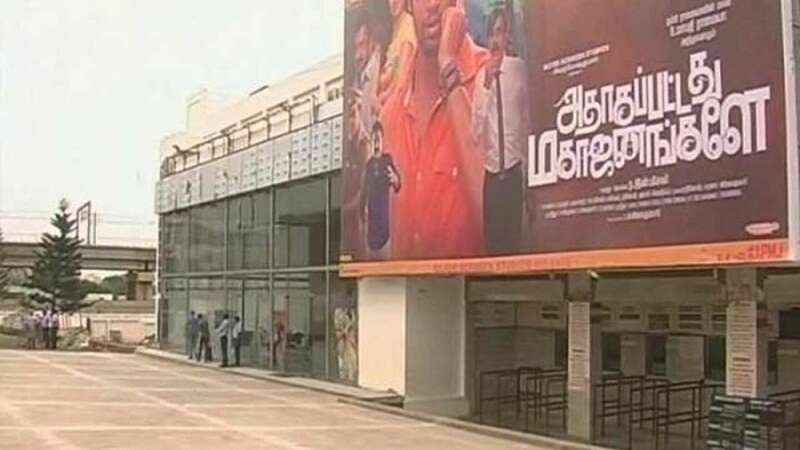 The double taxation has left the Tamil filmdom in disarray, forcing the Tamil Nadu Film Chamber of Commerce to announce the shutdown of theatres on Monday. Actor Vishal Krishna, president of Tamil Nadu Film Producers Council, said the government has sought another day of extension to sort the matter. "We met the relevant officials last evening (Monday). They have asked for another day to look into the issue. So the strike will continue on Tuesday. We hope we will arrive at a solution very soon," Vishal told IANS. Actor-filmmaker Kamal Haasan on Monday said, "filmmaking in the state has been made difficult deliberately". Reacting to the state of taxation in the state, Haasan said in a statement, "There are further tortures and systemic corruption that the film industry has to endure under this regime." He pointed out apart from Tamil Nadu, other neighbouring southern states have desisted from levying an additional tax on cinema over and above the GST. "In Kerala, the film industry requested CM Pinarayi Vijayan and he, through his Finance Minister, quickly announced that Kerala will not be levying any more taxes on the already beleaguered film business," he said. "Karnataka has gone even further to facilitate the wellbeing of the film industry. Telangana and Andhra are also doing their best for their film industries," he added.